The Christmas meal is something I look forward to every year. Usually my parents host and everyone cooks up a feast. This will be our first Christmas meal with two vegetarians in the family. I’m sure you’ve seen me mention it a time or two, but my two sons became vegetarians about four months ago. For Thanksgiving, they ate everything but the turkey. For Christmas, my mom asked if I would make a vegetarian recipe the boys could enjoy, like maybe eggplant “meatballs”. If you’re a part of the Mom Fabulous Facebook page, then you might have joined in on our eggplant conversation. You see, I’ve never purchased an eggplant or even remotely tried to make anything with it. But, I was up for the task of trying something new! How did these turn out? Absolutely fantastic. Plus, they received approval from my boys and husband, which is always a win in my book! You might be tempted to skip adding fresh garlic, or basil or even purchasing pre-grated Parmesan cheese. My suggestion would be don’t. 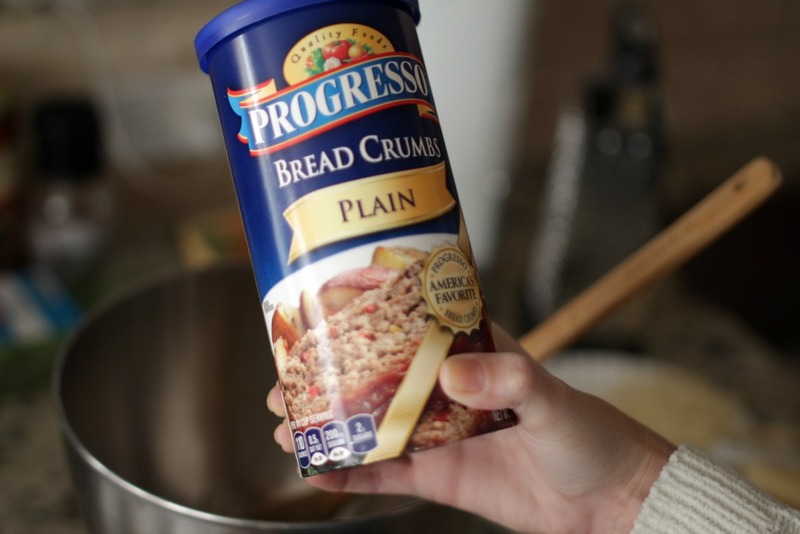 Adding these fresh ingredients, plus delicious and always reliable Progresso™ Bread Crumbs, send the flavor of these over the top. Step two: Heat olive oil in a skillet over medium heat. Add diced eggplant and a little bit of water (around 1/4 cup) and season with salt and pepper. Cook until soft, about 10 to 12 minutes. Step three: Transfer the cooked eggplant to a food processor or blender (I used my Ninja blender and it turned out perfect) and process until it has a smooth consistency. Step four: Transfer eggplant to a bowl and add Progresso™ Bread Crumbs, egg, freshly grated Parmesan cheese, freshly chopped basil and fresh garlic. Season with a little salt and pepper to taste. Step five: Mix with spoon (or hands) until well mixed. Scoop about a Tablespoon of the mixture into hands and roll into balls. 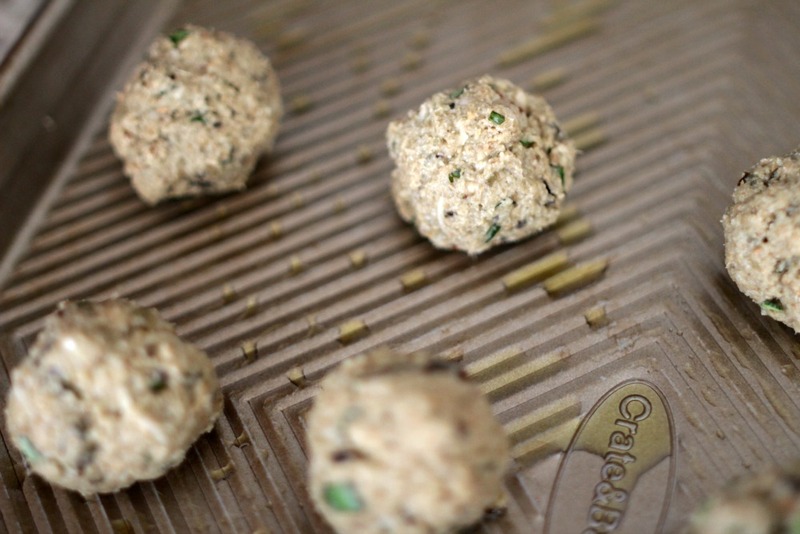 Place balls on a lightly greased baking sheet. Step six: Bake at 375 F for 20 minutes, or until browned. Step seven: Pour one jar of marinara (or tomato sauce of your choosing) into the same skillet you cooked the eggplant in. Add the eggplant “meatballs” to the skillet. 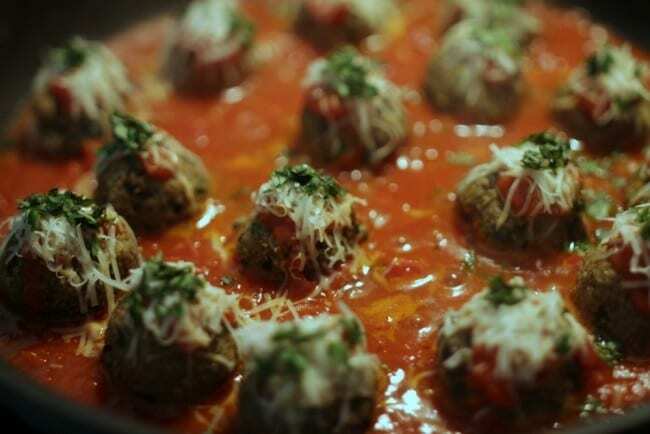 Spoon a little bit of marina sauce on each “meatball”, sprinkle with freshly grated parmesan cheese and add a little chopped basil. Cook until sauce is heated. Step eight: Place pan under broiler for about 2 minutes to melt the cheese just right. Serve with a salad and pasta if you’d like. 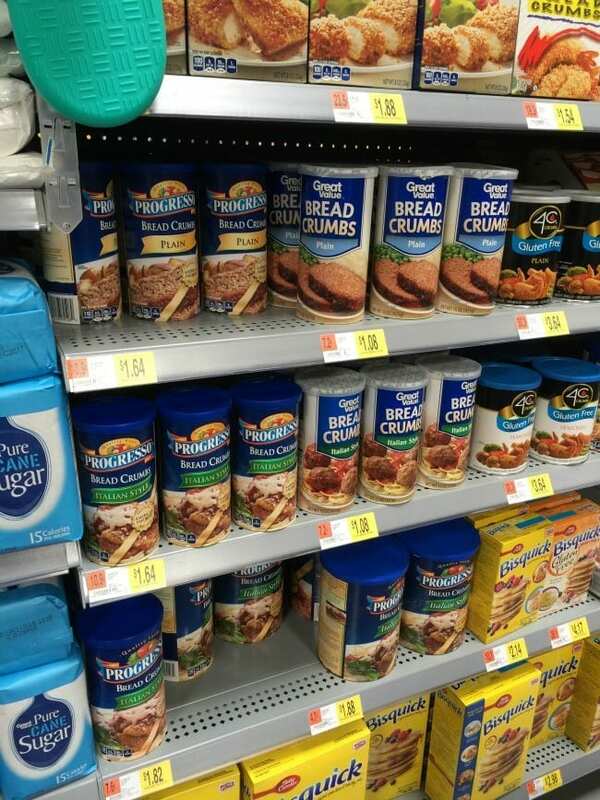 I can’t wait to bring these to our Christmas dinner and for everyone to try them. I’m definitely marking these down as a family favorite! Have you made anything with eggplant before? If so, what?! Here’s the printable version of the recipe. Enjoy! 1. Preheat oven to 375F. Grease a baking sheet with about little olive oil. Set aside. 2. Dice one medium eggplant, leaving the skin on. 3. Heat 2 tsp olive oil in a skillet over medium heat. Add diced eggplant and a little bit of water (around 1/4 cup), season with salt and pepper. Cook until soft, about 10 to 12 minutes. 4. Transfer the cooked eggplant to a food processor or blender and process until it has a smooth consistency. 5. Transfer eggplant to a bowl and add 1 cup of Progresso™ Bread Crumbs, 1 egg, 4 Tbsp. freshly grated Parmesan cheese, 2 Tbsp. freshly chopped basil and fresh garlic. Season with a little salt and pepper to taste. 6. Mix with spoon (or hands) until well mixed. Scoop about a Tablespoon of the mixture into hands and roll into balls. Place balls on the lightly greased baking sheet. 7. Bake at 375 F for 20 minutes, or until browned. 8. 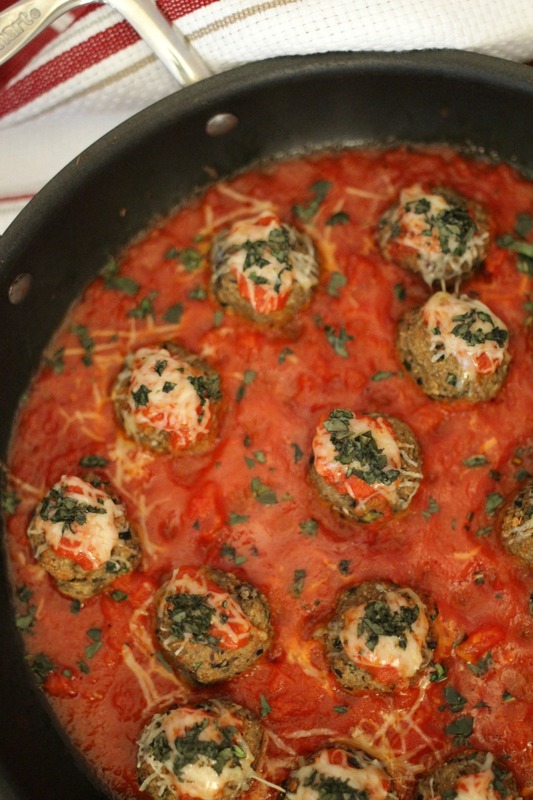 Pour one jar of marinara (or tomato sauce of your choosing) into the same skillet you cooked the eggplant in. 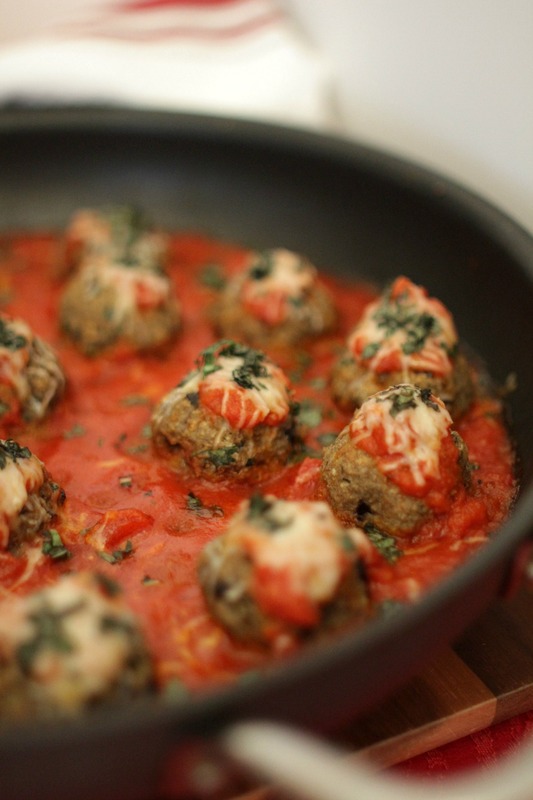 Add the eggplant "meatballs" to the skillet. Spoon a little bit of marina sauce on each "meatball", sprinkle with 2 Tbsp. freshly grated Parmesan cheese and add a little chopped basil. Cook until sauce is heated. 9. Place pan under broiler for about 2 minutes to melt the cheese just right. Sprinkle a little more basil around the entire dish. Yummy these look amazing Julie! I LOVE eggplant and these look awesome! It’s so versatile, you can do anything with it and it basically takes on any flavor you give it. Great recipe! These sound interesting but good!! Thanks for sharing! 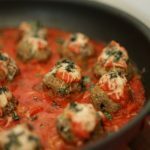 I love eggplant, but I’ve never made meatballs with it before! these look absolutely delicious, I cannot wait to try them! thanks for sharing! OK these look awesome. Could you freeze them? I would love to make a big batch to have on ehand. Would you cook before or after the freezer? This recipe looks so good, I can’t wait to try it! Thank you for sharing!! Have a Happy Christmas! These meatballs sound fantastic! What a great twist on the classic! Pinning! I wonder if I can do a paleo version?? I love all things eggplant!!!!! 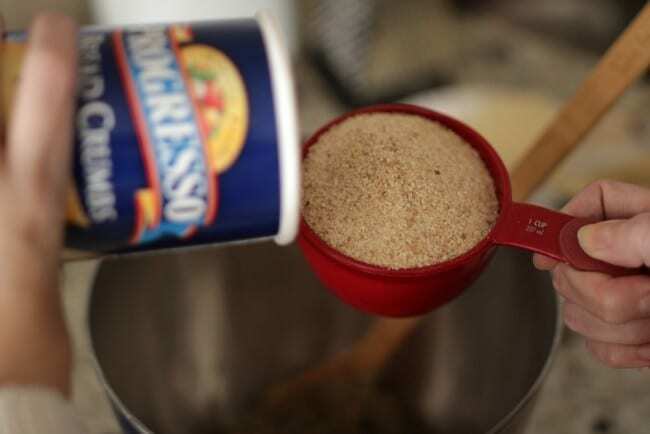 And I love Progresso bread crumbs – being Italian American from the northeast – we used Progresso alot – we love it ! 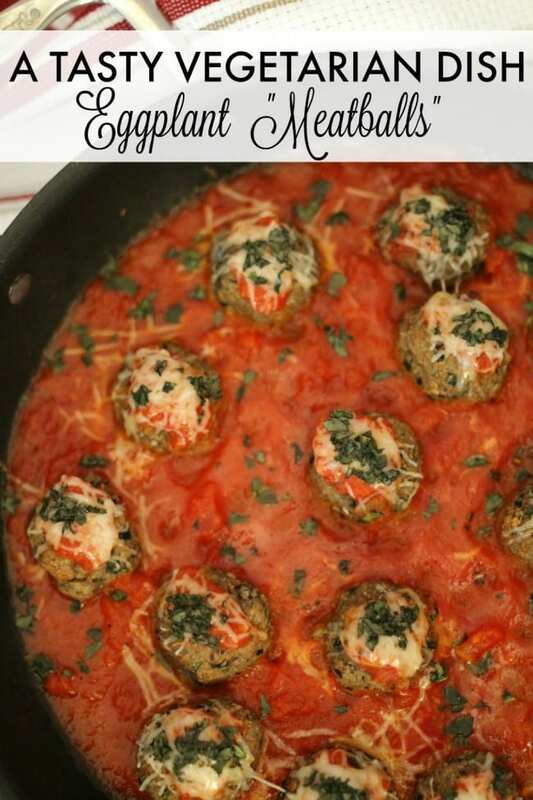 Eggplant meatballs sound SO delicious! My mom is vegan and we usually make vegetarian enchiladas for our Xmas dinner, but this could be a great new alternative to switch it up. Just take out the cheese and I think my mom would love this. Thanks for sharing! 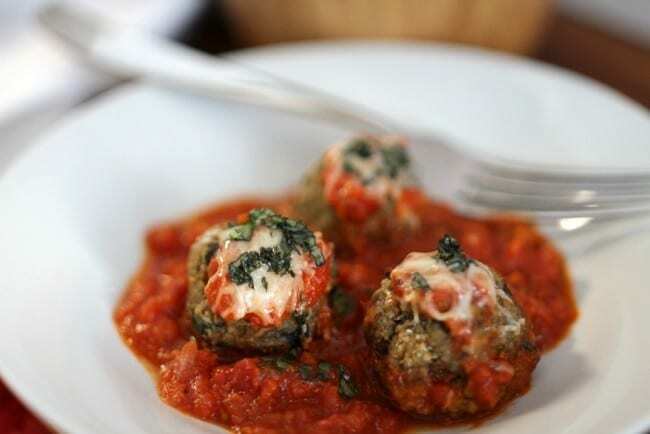 I would love to make and serve these at dinner one night. Love that this is your first time cooking with eggplant and you choose to do something so adventurous! These sound perfect for vegetarians and I’m sure your boys will be pleased!! The boys loved them and asked for them again. This recipe is a winner!